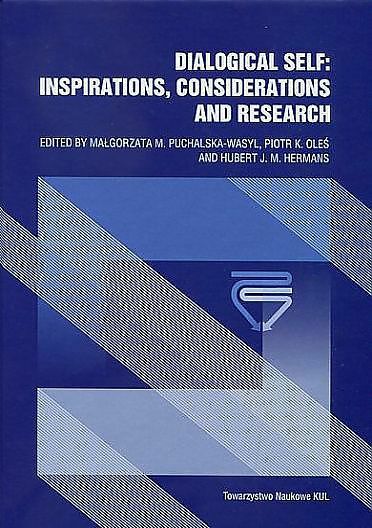 This book represents a creative and rigorous effort to apply the perspective of the dialogical self to the fields of personality psychology, studies of identity and cultural psychology. Importantly, it contains new conceptual advances and innovative methodological approaches. I recommend its reading to all interested in this field of knowledge. Dialogical Self Theory (DST) weaves two notions, self and dialogue, together in order to create a bridge between the individual and society. Traditionally, self refers to something 'internal', to processes taking place within the individual mind, whereas dialogue is conceived of as something 'external', to communicative processes taking place between two or more people. The composite concept 'dialogical self transcends this dichotomy by bringing the external to the internal and, the other way around, transporting the internal to the external. This allows us to study the self as a society of '/-positions' and, on the other hand, to consider society as populated by the selves of individual people contributing to the society from their own specific point of view. The present book is one of the main results of the Ninth International Conference on the Dialogical Self and covers some of the highlights of this scientific event.